On May 3rd and 4th, 2017 a combined exercise involving a terrorist attack simulation and post-attack crime scene management was organized at the SWISSPORT cargo area at the Accra Kotoka International Airport, under the auspices of the Internal security service of the French Embassy in Ghana. Two experts from RAID, one of the main French intervention SWAT teams, were in charge of the intervention exercise which involved a simulated hostage-taking situation. Another expert from the Counter-terrorism Sub-directorate of the French National Police organized the crime scene management part. 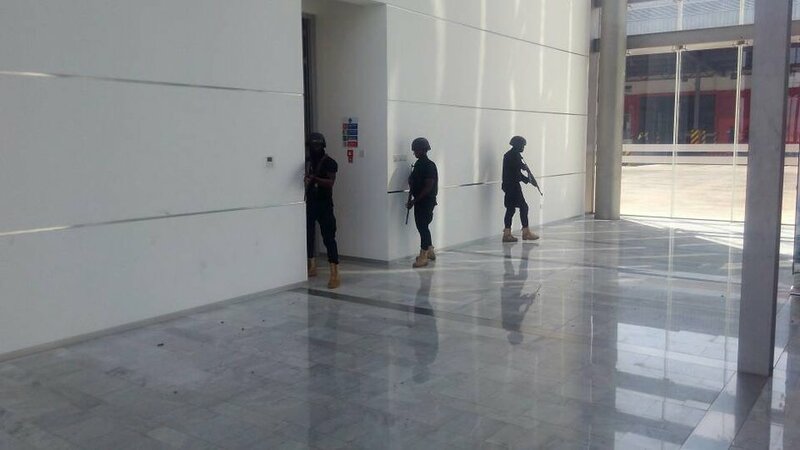 This was the first ever combined anti-terrorist exercise ever organized in a sensitive public building in Ghana, and it involved a total of 80 personnel from the Counter-Terrorism Unit / Special Action Force (CTU-SAF), the battalion 64 of the Army, the Crime Investigation Department (CID) and the Bureau of National Investigations (BNI). 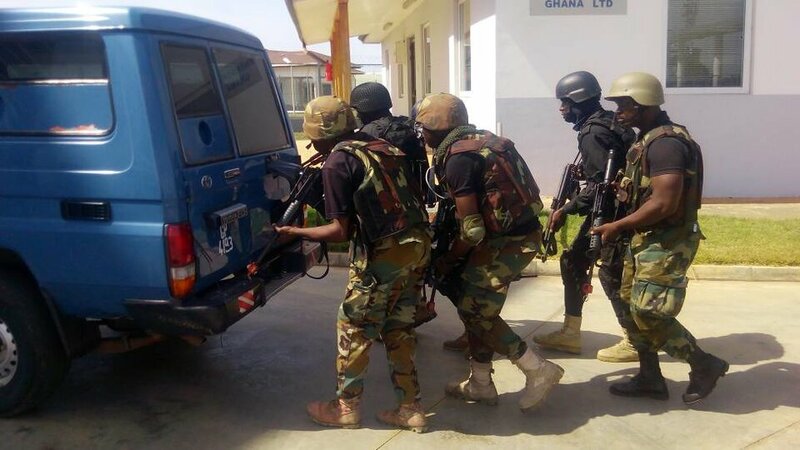 The objectives were to improve both preparedness and technical skills of the specialized counter-terrorism Police and Military units of Ghana, so they are prepared to deal with any eventuality. France has a long-standing security cooperation with Ghana, and is willing to share its expertise in the field, and this exercise comes as an opportunity to reinforce our cooperation. The simulation exercise was attended by Ms Vigneau Chargé d’Affaire of the French Embassy in Ghana, and the highest police authorities of Ghana, including the Inspector General of Police, COP David Asante-Apeatu, as well as various liaison officers of other foreign Embassies present in Accra. In a small address to the personnel who participated in the exercise, the Inspector General of Police expressed his gratitude to the French police cooperation service for organizing such a valuable and comprehensive exercise.